AAE Glass is proud to present Bob Leatherbarrow's maiden voyage in the Education Center. Bob shares brand new material that will take the Crackle Technique to another level. Those who have worked with. or learned from Bob in the past, know how thourough and detailed he is. Bob's explainations and examples in this video make it easy to learn and understand. We would like to thank Bob for his contribution to the AAE Glass Education Center as well as the glass community as a whole! Below is a note from Bob about the video tutorial. If you want to take the crackle technique to a whole new level, then this is your video! Why? The basic crackle technique provides beautiful textures but that is only half the story. Add a painterly colour palette of custom blended powders and design elements such as veining and replacement textures to propel the crackle technique from basic to cutting edge. The video starts with a review of the basic crackle technique. From there you will learn how to achieve a painterly effect within the crackle texture by layering coloured powders, either as pure colours straight from the jar or as custom blended colours. To finish off the piece you will learn how to precisely add coloured veins and replacement textures. The final result is a crackle piece like never before! The techniques for blending powders, veining, and replacement textures are not included in any of my e-books. I’ve always wanted to share this information and the opportunity to demonstrate it through a professional video is definitely the best approach. Seven PDF Firing schedules are included. Come learn with me! AAE Glass is happy to announce the third part in Glass Artist, Paul Messink's, online video series: Enamel Multi-Layered Panels - Advanced Thick Panels is now available for purchase in the AAE Glass Education Center. This highly anticipated finally is over three hours in length and features methods such as painting clouds, painting sunsets, painting water and creating dimension and depth. Paul speaks about painting tips, trouble shooting and specialty tools. He also discusses how to break down images into layers which goes a long way towards this technique. All three of Pauls videos can be found HERE. Thank you Paul for sharing your beautiful work in an easy to learn manner. The reviews have been great! AAE Glass is happy to announce a new online video tutorial from Glass Artist, Educator, Studio Owner and Founder of Fused Glass Fanatics, Warren Norgaard. Warren has always been drawn to mandalas and now he shares his unique technique and perspective with the world! NO CUTTING REQUIRED for this relaxing technique which makes it easy for artists of all levels. Patterns are included, but Warren will even show you how to create your own. If mandalas are not your thing, this technique can be applied to any pattern using glass powders. We would like to thank Warren for joining the AAE Glass team and sharing yet another unique technique that you can refer to anytime and anywhere in the AAE Glass Education Center. Warren's class is now available around the globe, let us know what you think. Kate MacLeod has done it again. Kate Rocks is sweeping the glass fusing world and there is a buzz along with it. These unique cast glass pieces are eye catching and show stopping. Imagine dotting your next art show display with some of these beauties to go along with your already established pieces. You will cultivate a whole new crop of customers. Contact your past customers and let them know you have something new and amazing to offer them. This is a perfect chance to reconnect with people who know your work. They may not buy a rock, but you can show them how you are evolving as an artist and generate several reorders. Local galleries will eat these up for their uniqueness. Perfect for those of you doing production and yet another outlet for Kate Rocks. Little to no coldworking or equipment needed and molds fit in most 6" deep kilns. For details about the class, supplies and more, visit the AAE Glas Education Center and Kate Rocks! The possibilities are endless and we are excited to see what you do with this technique. A huge thank you to Kate from AAE Glass for being such a professional and offering this technique in the AAE Glass Education Center for all of the fused glass world to benefit. We at AAE Glass are excited, happy and proud to welcome Ms. Kate MacLeod to our education team. 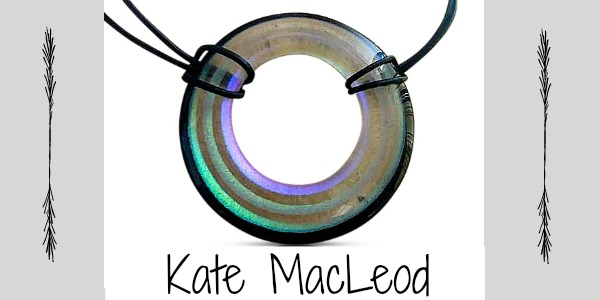 Kate's first online video titled Dichro Cakes: Concentric Circle Jewelry with Kate MacLeod is now available and will change the way you look at dichroic jewelry. This 1 hour and 40 minute video can be viewed on any device at anytime. You also receive Kate's notes and firing schedules so you can learn or go back and view again anytime you like! Detailed description below. Introducing the next sensation in Dichroic Jewelry! Kate MacLeod will lead you through creating amazing jewelry pieces that are… wait for it… kiln formed concentric circles! Seriously? That can be done in a kiln? Here-to-fore reserved for glass blowers and torch workers, the layering of color, and not only color, but Dichroic color, in concentric circles is perfected, explained, and made simple. The handouts alone are worth a gold mine as Kate thoroughly explains the properties of dichroic glass with diagrams, charts and color selecting. Not only that, Kate has perfected the use of Dichroic scrap! Make the most out of every square centimeter of your Dichro. This is the next big seller in Dichroic jewelry. Whether you simply tether it as a pendant, wire wrap it, or use a stunning bracelet finding, the glass process will take your work to the next level. Kate’s formulas are included in the extensive PDF’s as dichroic-cake stack charts, along with firing schedules, and a comprehensive explanation of the CBS Dichroic color bar. Are you ready to take the next step into Dichroic Jewelry? This is it, no if’s, and’s, or but’s. 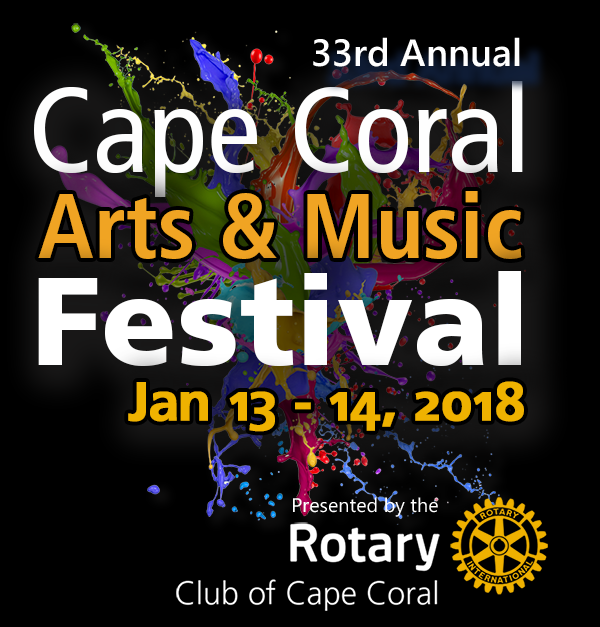 The Dates for the 2018 Cape Coral Arts & Music Festival have been announced. January 13th, 10a-9p & 14th, 10a-5p. This is a very large show and we have seen it grow year after year in our backyard. A booth is $500 and there are 100,000 people expected to attend throughout the weekend. This is the largest special event in Lee County. Learn more below! You are cordially invited to celebrate the grand opening of the brand new AAE Glass Art Studio 2.0 in Cape Coral, Florida. We look forward to seeing you again (or meeting you for the first time). By far the biggest undertaking AAE Glass has ever taken on, we look forward to celebrating a vision becoming reality with you. The AAE Glass Art Studio 2.0 is the result of Master Glass Artist Tanya Veit’s vision. A vision that began in a basement studio years ago has come to fruition in Cape Coral, Florida. Tanya is known across the globe for her energetic and enthusiastic teaching style as well as being the innovator of several popular glass fusing techniques in the industry today. Being a self-taught glass artist has allowed Tanya to learn by trial and error. She studied the basics of glass fusing, but didn’t let that stop her from pushing the envelope. I will never forget hearing her say, “Sometimes a failed experiment yields the best results.” She constantly learned and quickly developed her own style. While being a great way to learn, trial and error can be very expensive and time consuming. Tanya realizes that time and money can be the two biggest hurdles for any glass artist. That is why she enjoys teaching so much. She is able to share her knowledge with glass artists across the world, while saving them time and money with valuable knowledge. She not only teaches live classes at the new 2.0 studio, she offers several workshops online. Most are free. She has something for artists of all abilities and can reach anyone in the world who has access to a computer. In addition, Tanya has brought on many other well-respected glass educators to share their knowledge in the AAE Glass Education Center. The Education Center has quickly become the go to place for online glass art education. If you have a question or are looking for inspiration, you will certainly find the answer at AAE Glass. None of this would be possible without the hard work of the AAE Glass Staff and the insane support from glass artists around the world. We can’t say enough about our staff. Even in the face of Hurricane Irma, we got the doors open because of them. Everyone’s life was turned upside down, yet they were back at the grind as soon as the sun came out. It is no wonder customers are so happy to work with them in any capacity. We pinch ourselves daily with the amount of support we get from glass artists everywhere. Our local glass artists keep the studio lively when the snowbirds fly north for the summer. The snowbirds who spend half the year with us share stories and experiences since we last saw them. The glass artists who come to Florida from Alaska, Hawaii, Canada, Europe, Australia, South America and every state on the map couldn’t be more dedicated to their art. To each and every one of you, Thank You! We wouldn’t be here without you and we promise to continue to raise the bar in the glass industry. -Amy Ferber of Bullseye Glass in Oregon will be demonstrating powder printing and answering your questions about Bullseye Glass. -Dan Drouault of Covington Engineering in California will be demonstrating his lap wheels and saws. We will be offering 15% off all Covington machines in store this day only. Dan will be happy to answer any questions you may have about his machines. -The FIRST 50 PEOPLE through the door will receive a FREE 4x4 piece of CBS Dichroic Glass. -Everyone through the door will receive a SPECIAL GIFT. -FREE project guides and FREE samples. -Video screens throughout the store displaying QuickFlix fusing projects. -Mike from Jen-Ken Kilns will be displaying and answering questions about his fiber kilns. These will also be 15% off this day only. -Huge instore discounts. A great time to stock up. -A new schedule of world class instructors will be joining us this year. Kelly Crossler Alge, Morgan Madison, Lois Manno, Cheryl Chapman, Nancy Weisser and a new technique workshop by Nathan Sandberg. -Last, but not least…We will have FREE ICE CREAM! The good kind! The AAE Glass family is proud to announce Paul Messink has joined the Education Center team. Paul has released the first two parts of his 3 part series of online video education using enamels to create thick panels. Paul Messink is well known for his work with enamels. His beautiful enamel work is easily recognizable. AAE Glass has been lucky enough to host Paul's workshop several times and the students never leave dissappointed. Now glass artists around the world can learn from Paul in the comfort of their own home or studio anytime, anywhere on any device. PART 1 "Introduction to Enamels" has been a huge hit and is a must see for anyone who works with enamels or wants to learn more about working with enamels. Paul goes in depth into the how's and why's enamels do what they do. 2 hours 15 minutes with 11 chapters of indepth enamel knowledge and experience is available at your fingertips. Whether you have been working with enamels for years or are just starting out, this online video will spark ideas you never knew existed. PART 2 "Thick Panel Basics" is now available for purchase and takes Paul's use of enamels to the next level. Paul is a true educator and believes providing a foundation of essential information allows an artist to learn a skill faster and with more understaning than if they didn't have the basics. Hence this thoughtfully layed out three part series. If you want to work bigger and thicker, this is your chance to learn without spending your own time and money on research and development. PART 3 is scheduled to be filmed in mid-November when Paul comes back to the AAE Glass Art Studio 2.0 to teach another workshop. After post-production is complete we are tenatively looking at a release before the end of the year. After the completion of this three part series, artists will be able to complete the type of stunning work Paul is known for. Don't forget you earn Education Coins for every dollar spent at AAEGlass.com. These Education Coins can be used towards the purchase of any online video's available in the AAE Glass Education Center. Start saving today with AAE Glass. Often times we hear, "Stop daydreaming, you are wasting your time, stay focused." It has long been thought that daydreaming is the habit of an unfocused person. It turns out, daydreaming will actually exercise your brain and memory, while keeping you focused on your goals. There is research information available all over the internet if you want to read more about the science behind daydreaming, but suffice it to say, daydreaming has been linked heavily to creativity. It is your brains way of rebooting. 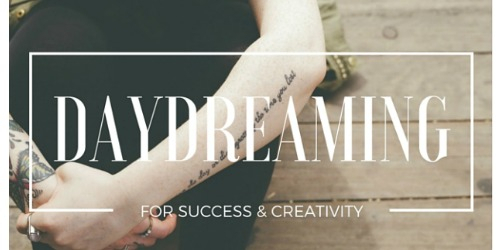 Daydreaming often occurs when you are doing a mundane task. You may catch yourself daydreaming in the shower, while you are washing the dishes, cutting the grass or many other times throughout the day. Have you ever flipped through a dozen pages of a book only to realize you haven't comprehended anything you read? This is because your brain was wandering and trying to focus on other things. Daydreaming can go a long way to clearing some space in your head for new information. It can act as a timeout for your brain while it organizes your thoughts for you. Staring out the window on a bright winter day watching snowflakes float to the ground is one of my favorite things to do. The repetitive pattern of cutting grass is another favorite activity of mine because it gives me a chance to zone out and clear my mind for upcoming tasks. Don't feel bad for taking a few moments each day to simply let your brain go. Lose yourself in thought, let your brain roam and you will become more focused on your immediate tasks. Creativity block is a real thing. We have all sat in the studio, stared at our glass and become frustrated because we can't decide what to create. Either we keep going back to the same designs we have created over and over or we simply can't form a picture or a plan to create something new. The next time you find yourself in this position, walk away and put yourself in a relaxing atmosphere for a few minutes. Take a few deep breaths and let your mind wander. Don't try to control it, just let it go. Whether you daydream about glass, an upcoming vacation or the falling snow, just letting your mind roam will free up some space and help you to focus on your next task. So the next time someone tells you to stop daydreaming because you are wasting your time, tell them you will be with them in a few minutes after you are done preparing yourself to take your work to the next level.